This is part II of a 2-part article. Read part I article here with first 5 tips. With the success of my 2 popular books, "10 Powerful Networking Secrets Of Influential People" and "10 Powerful Networking Tips Using Business Cards", the same proven "High Tech HIGH TOUCH" networking principles can be applied to personalized networking within the LinkedIn social network. If you look at my LinkedIn profile you will see approximately 1,600 people in my network. Although that may seem like a small network, I can 100% guarantee that I can ask ANYONE in my network for a favor. That translates into 1,600 reliable people gateways who are willing to leverage thousands of people in their cumulative networks. Can peIople who have upwards of 10,000+ LinkedIn connections make the same 100% claim? Networking on LinkedIn or any social media platform is about developing quality human relationships, not a "score card" quantity of connections. What is your percentage of people you can tap for a favor, because they know you on a personal level? If your answer is 100%, read no further . . . 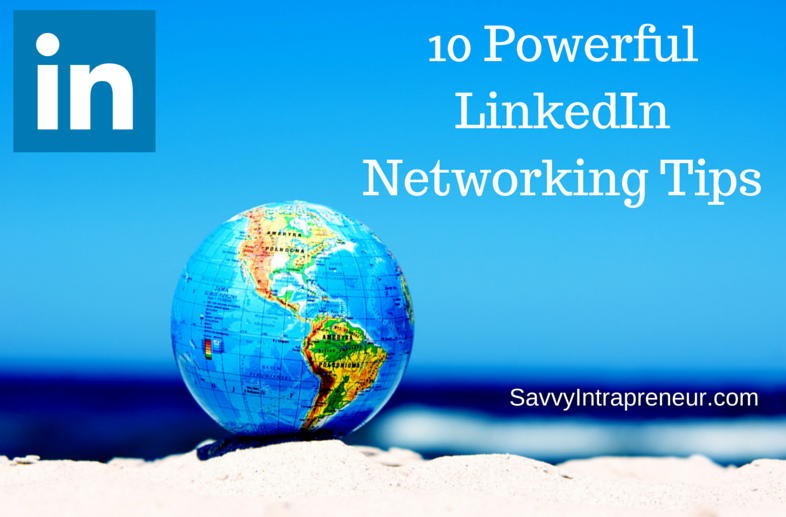 In comments below, feel free to share positive methods you use to network on LinkedIn. 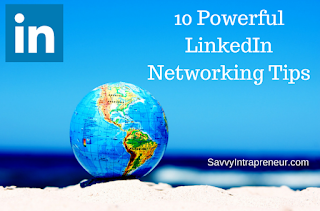 Click here for first LinkedIn networking 5 tips shared in Part I article. Experience has shown it is a great idea to back up your LinkedIn connections. Should any unforeseen event make your LinkedIn connections unavailable online, they can always be referenced through an offline spreadsheet. More importantly, you can upload the back up copy of your LinkedIn contacts to a LISTSERV type mailing list (i.e . Constant Contact, Mail Chimp, Yahoo Groups aWeber ) I use Electric Embers as my email distribution system to share information with people in my network. Unlike those people who think their LinkedIn connections are really interested in receiving personal updates on your career, you can share information of real value via direct email. Used properly and sparingly, email allows feeding, nurturing and engaging your LinkedIn connections. A great example of sharing valuable information is 18 year old successful business professional and entrepreneur, Marc Guberti, who has almost 300,000 Twitter followers. Check out Marc's recent monthly performance report, which he emails to people in his network. While explaining what he has been up to, Marc also shares actionable information people in his network can use for their own success. DO NOT use your regular email system to communicate with your LinkedIn contacts as a distribution group, unless you want to get blacklisted as a spammer. Consider using mailing systems like Constant Contact, Mail Chimp, Yahoo Groups aWeber or [I use] Electric Embers. A true statement of basic human can be found in Dale Carnegie's book "How To Win Friends And Influence People In The Digital Age". Mr. Carnegie says "In order for people to be interested in you, You have to be interested in them. Commenting and especially sharing articles, LinkedIn posts, Twitter REtweets or Facebook posts written by people in your network is the best way to show you are interested in what they say, do or think. In Chapter 8 of my book "10 Powerful Networking Secrets Of Influential People" I talk about edification being the super glue of networking. When you share what others in your network post on various social media platforms, this is the very best way people in your network will take notice of you and your interests. When you LIKE a post you're saying to that person in your network "that's nice, but not important enough for me to share with my network or waste my time to comment on it". What do think those persons in your network will think of you or respond when you ASK for a favor, if you do all 3 social media actions of LIKE, COMMENT AND SHARE [REtweet] of their post or article? You set yourself apart and make a lasting impression with people in your network, with that extra effort to be interested in people. Now you're positioned to tap people in your network for an ASK. 8. Vanity Domain Be Thy Brand Name. With almost 450million members, I'm sure you will agree LinkedIn gets its fair share of promotion and free advertising. Much of that promotion comes from LinkedIn members sharing their very long profile link that looks like http://LinkedIn.com/in/Your Name/6543216. Although that's nice your name is part of the LinkedIn link, it's not portable nor memorable, in terms of people easily remembering that link to connect or reconnect with you, after an interaction. Do you think anyone will remember your LinkedIn profile link, if they want to get in touch with you in the future? For about a $20 investment per year you can purchase a vanity, branded domain name www.YourName.com, which you can point to your LinkedIn profile. For example, clicking a business associate's domain www.TianaKReid.com takes you to the LinkedIn profile of Tiana K. Reid. Ms. Reid tells me people do take notice with her branded domain name and branded email address Tiana[@]tianakreid.com on her resume and business cards. www.YourName.com becomes your instant web site, with LinkedIn doing all the work for you. When anyone types www.YourName.com into a web browser that person is transparently taken to your LinkedIn profile. Placing www.YourName.com on your resume contact info makes you stand out as a professional business person to be taken seriously in being considered an asset to the potential employer company. Having a branded domain name makes the search engines (i.e. Google, Yahoo etc. ) your best friends. Expect that recruiters, talent scouts, human resources, hiring managers or key decision makers will Google your name. What would they find now. Google your name to answer that question. Having a branded domain name increase s your Internet presence in being more visible. Having www.YourName.com makes a better impression on a business card, instead of the long LinkedIn address link no one will remember. www.YourName.com can be placed in your email signature. Be Found When People Look For You. People will find you easier when they type your name into a web browser search. 9. Show Your Summary. Don't Tell. Show and tell was always a exciting part of elementary school. The curiosity factor always engaged every student in class, as we watched each student bring something to class to talk about. Your LinkedIn profile summary should invoke that curious nature that every reader of your summary has inside themselves. Focus your LinkedIn profile on how your skills, experience or services provides Solutions, Benefits or Results for the reader. Tell a story about yourself in the 3rd Person, which allows you to shamelessly brag about your accomplishments. It's OK. In the 21st Century it's called "branding" yourself. Respect the time of business professionals visiting your LinkedIn profile. In 3 succinct sentences paint a picture about yourself that makes people want to read the rest of your LinkedIn profile. Feel free to contact me, if you need help tightening your LinkedIn summary. I used to be very bothered when sales messages showed up in my LinkedIn Inbox from unknown people not in my network. One day I had an epiphany . . . Think of everyone you encounter as a Stargate or Gateway to other opportunities, once they become 1st level LinkedIn connections. When you are directly connected to a person who has 50 people in their network, that means you now have 51 people in your network too. This simple concept creates a powerful hook. The person who sends a Linked message toting their products or services wants your attention. You can turn an unwanted LinkedIn message into an opportunity to expand your sphere of influence. I usually reply to the message sender with "Thanks for reaching out [Sender's Name]. I'm always open to explore opportunities with all of my 1st level LinkedIn connections. Please send me a LinkedIn invitation to connect." They get something [your attention] and you get something [more people in your network] with each 1st level LinkedIn connection. I am interested to know any LinkedIn networking tips you use to develop relationships, if wish to share in the comments below. 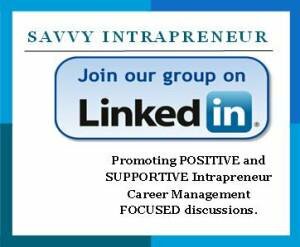 What is a Savvy Intrapreneur? About the Author - click here to contact CarlWith corporate travels from the mail room to the board room, Carl E. Reid knows what it takes to be successful in the business arena. He has over 46 years of business experience, including 34 years as an information technology expert, 20 years as a business startup / career coach and 23 years as a successful entrepreneur. 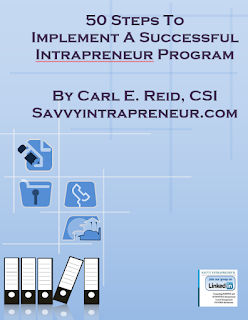 In addition to being founder of Savvy Intrapreneur, Carl has been a professional blogger and social media expert since 2004. In addition to being a sought after speaker, he publishes Library of Congress recognizedblogs www.SavvyIntrapreneur.com and www.iTechSpeak.com . Carl has been published in "Network World" and "Computer Monthly" magazines, resulting in being a technology expert witness in court.